Healthcare institutions will constantly have numerous priorities to deal with. When it comes to implementing the Six Sigma quality improvement strategy within this industry, there are guidelines which have to be followed in order to weigh the importance of each task and assign them accordingly. Six Sigma is the perfect quality assurance program for the healthcare industry as it concerns prioritizing, itemizing and efficiently completely processes. Many healthcare institutions are using Six Sigma as a way to effectively improve their services in order to provide better healthcare to the general public. Successfully organizing and incorporating this management theory takes into account its methodology and theories and is highly dependent on a good foundation of training and certification. The most common evolve ? Quality issues within the healthcare field can sprout from just about anywhere. The most common evolve around faulty equipment, lack of management or routine within a particular department, or there can even be problems throughout the organization as a whole. This process, when used and implemented correctly, can successfully alleviate procedural issues as they relate to medical care and operational issues like work-flow, registration, and billing. First, Six Sigma asks that the ‘customer’ be prioritized as the first step to successfully repairing an issue. Usually, within the healthcare industry, the ‘customer’ could oftentimes be the patient, the nursing staff, the doctors, the stakeholder, the administrative staff, or the department manager. It all depends on the quality issue at hand and who will directly benefit from the changes that will be made. Of course the patients are the final customer when it comes to the health care industry, but since this process is a business theory, it needs to sometimes be viewed in a business light. In some cases, some problems are not prime candidates for Six Sigma. This is because this process works best with complex issues with several variables involved that are repeated over and over. There are several other quality management programs that may help to solve simpler operational issues directed more towards facilitation, direction and building a consensus amongst all the people involved. Since most hospital procedures are repeated, it is a very viable option for most hospital processes, which is why it is so beneficial when it comes to the healthcare industry. 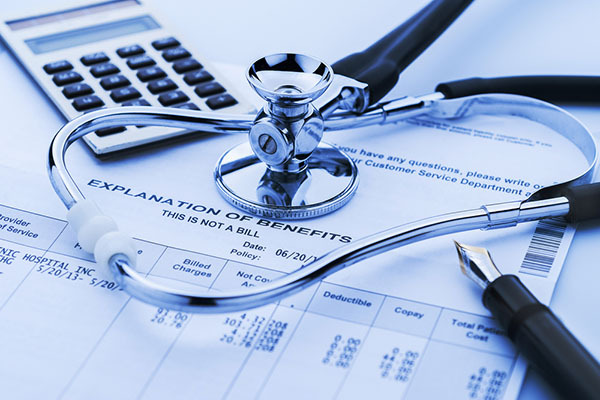 These are just some of the common issues from within the healthcare industry. This quality management theory can be incorporated into the management framework of almost any intuition in order to bring about effective results and successfully allow for better healthcare processes. Because this particular industry deals with saving lives, quality should be the utmost goal for any manager who works within this jurisdiction. Six Sigma is the perfect framework to help increase both quality and customer satisfaction as a whole within the healthcare realm.
" Excellent course and instructor, explains on the concepts, takes trouble to explain with every day examples. Illustrated with actual field problems. As healthcare is relatively new area for six sigma application it will take time but the principles apply. I would consider starting from patient registration and then the billing process. " Including a Black or Green Belt into a given project. Linking one project with another in order to bring about a combined and effective result. Figuring both defined goals with unambiguous parameters. Figuring the visible advantages for the customer.